Why should humans have all the fun running their races while their faithful pets stand patiently on the sidelines waiting for them to return for a pat on the head and a treat! 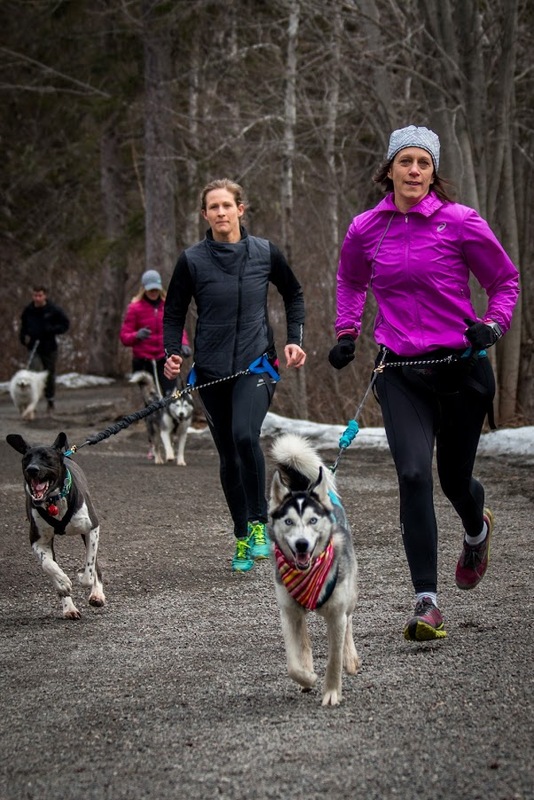 In collaboration with the Maritime Association of Harness Dog Sports (MAHDS) we are thrilled to launch our first ever canicross race for our 4 legged friends and their humans at the Little River Reservoir (The Rez) in Saint John, NB. The Rez is the perfect venue for this event as it is flat, fast, easy to follow and is a mix of crushed gravel, grass and has 4 wooden bridges to cross as well as a lake to cool off in and a bark park – parking is easy and the single loop 3.3k couldn’t be easier to follow. Start Type – based on the final numbers of competitors we may offer a wave start or a dual start of 30 seconds between runners/dogs. Required Equipment – Participants are required to follow MAHDS Rules & Requirements for Participants with respect to appropriate gear. All dogs must be outfitted with a properly fitted harness designed to allow the dog to pull freely as well as a canicross beltand bubgee line. Participants should also be familiar with the MAHDS Code of Conduct. Our event will be sanctioned and insured by the Maritime Association of Harness Dog Sports which is the official representative and partner of CAHDS – Canadian Association of Harness Dog Sports) in the Maritimes. MAHDS represents, supports and promotes recreational and competitive harness dog sports (canicross, bikejoring, scooter, rigs, skijoring and dog sledding) in Nova Scotia, New Brunswick, and Prince Edward Island. You can learn more about MAHDS on their website.